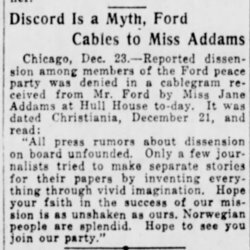 Ford denies rumors of dissension aboard the Peace Ship. 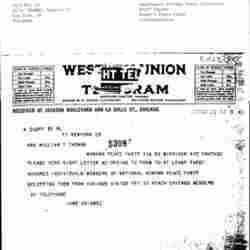 Addams sends Thomas some papers under separate cover. 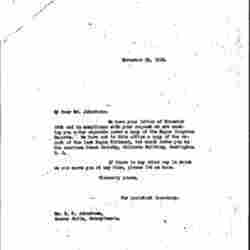 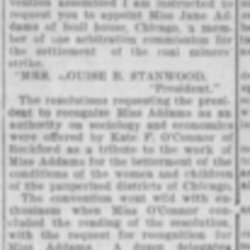 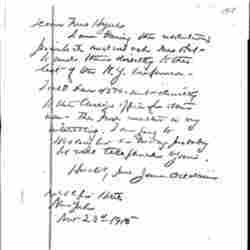 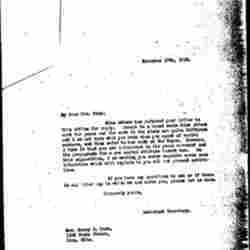 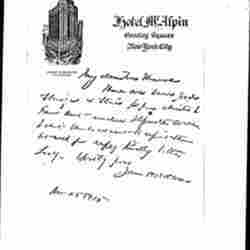 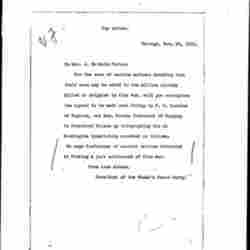 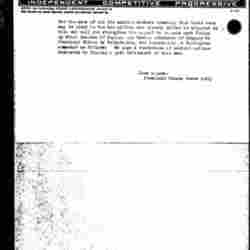 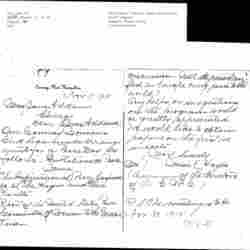 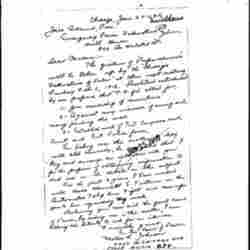 Addams' secretary sends Johnstone a copy of the Hague Congress Reports as requested and refers him to the American Peace Society for other documents. 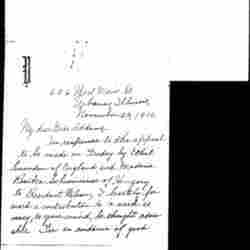 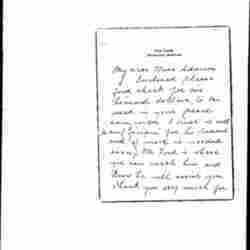 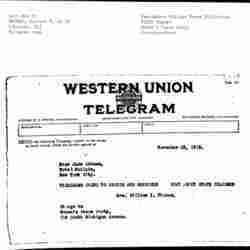 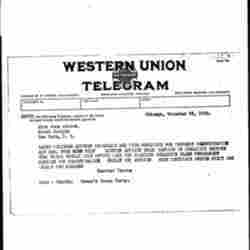 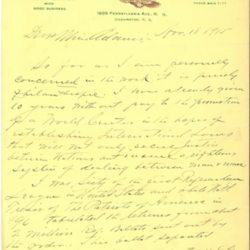 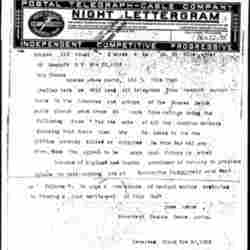 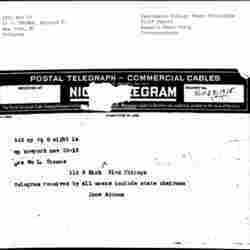 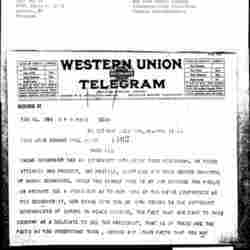 Addams informs Thomas to include state chairman when sending out the telegram. 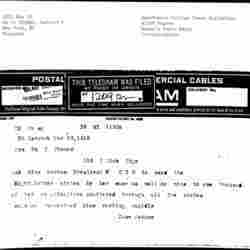 Thomas asks Addams what publicity should be used for an upcoming demonstration. 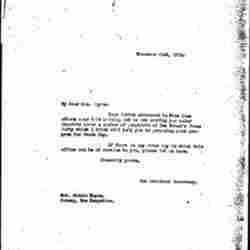 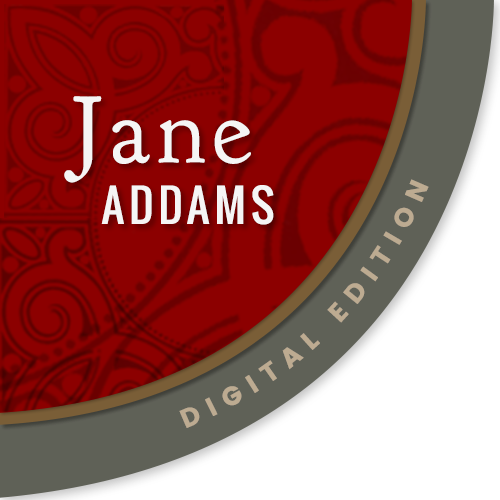 Addams' secretary sends Hayes pamphlets to help with her Peace Day program. 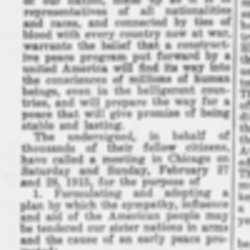 Webster introduces himself to Addams and his company, World's Peace Film Co., and explains how he and his company are suited to promote peace. 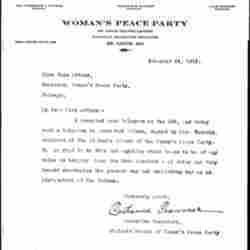 Pipp requests that Addams send a statement detailing Schwimmer's international peace movement activities to be printed in the Detroit paper. 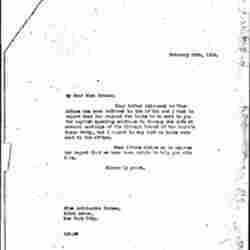 Hyers clarifies Addams' work in different sectors and agrees to send Enck some literature about current peace movement activities. 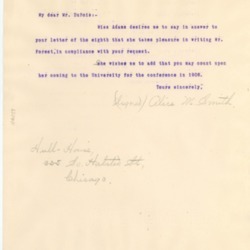 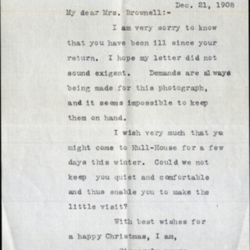 Smith confirms that Addams will attend the conference in 1908. 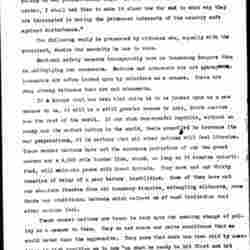 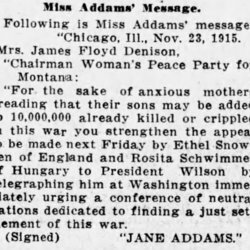 Addams calls for the public to join the peace movement, demonstrate public sentiment for peace, and attend a conference.